何爽爽, 汪君, 王会军, 等. 2018. 基于卫星降水和WRF预报降水的“6.18”门头沟泥石流事件的回报检验研究 [J]. 大气科学, 42(3): 590-606. He Shuangshuang, Wang Jun, Wang Huijun, et al. 2018. 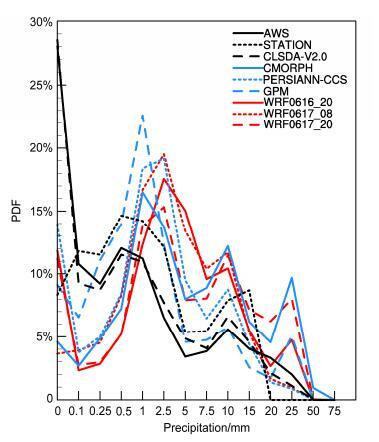 Hindcast Study of "6.18" Mentougou Debris-Flow Event Based on Satellite Rainfall and WRF Forecasted Rainfall [J]. 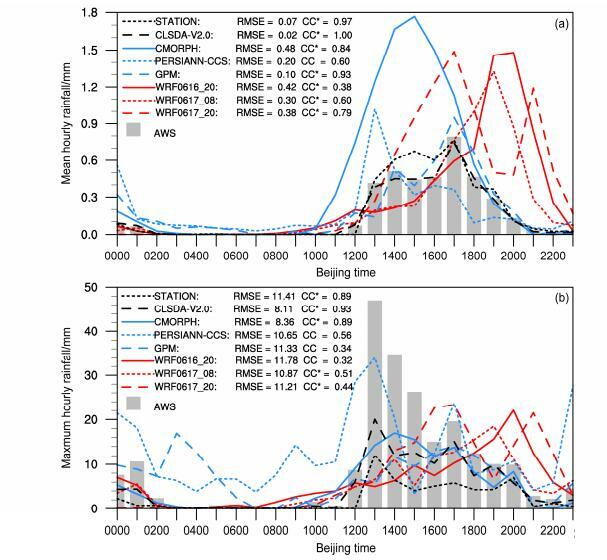 Chinese Journal of Atmospheric Sciences (in Chinese), 42(3): 590-606, doi:10.3878/j.issn.1006-9895.1804.18148. Abstract: On 18 June 2017, a debris-flow event suddenly occurred in Mentougou district of Beijing, and 6 people were dead or injured during this event. Short-term heavy rainfall is the main factor that triggered this event, while the routine meteorology observations didn't report this event very well. It can be seen that accurate rainfall observation and forecast are crucial for early warning of landslides and debris flows. 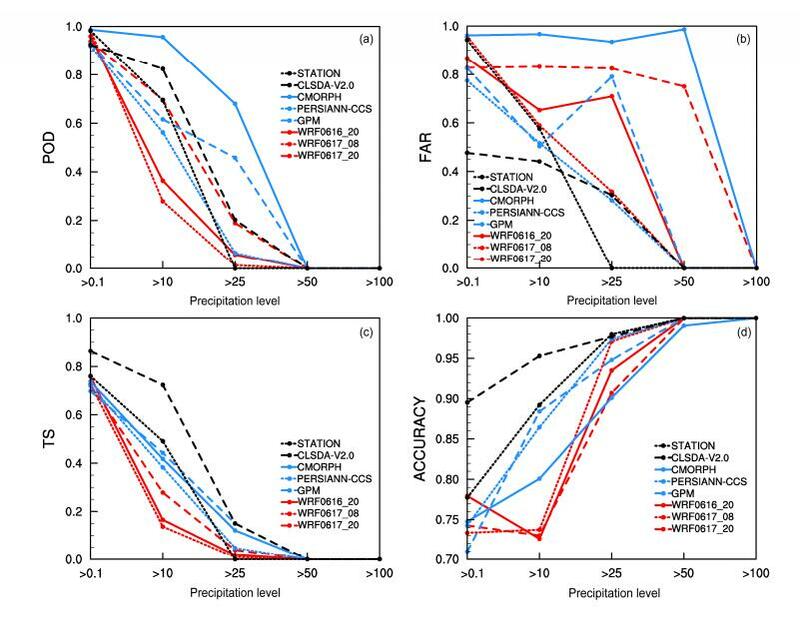 In recent years, satellite remote sensing technology for estimating rainfall has been developed rapidly, and the forecasting skill of precipitation by WRF (Weather Research and Forecasting Model) has also been gradually improved. 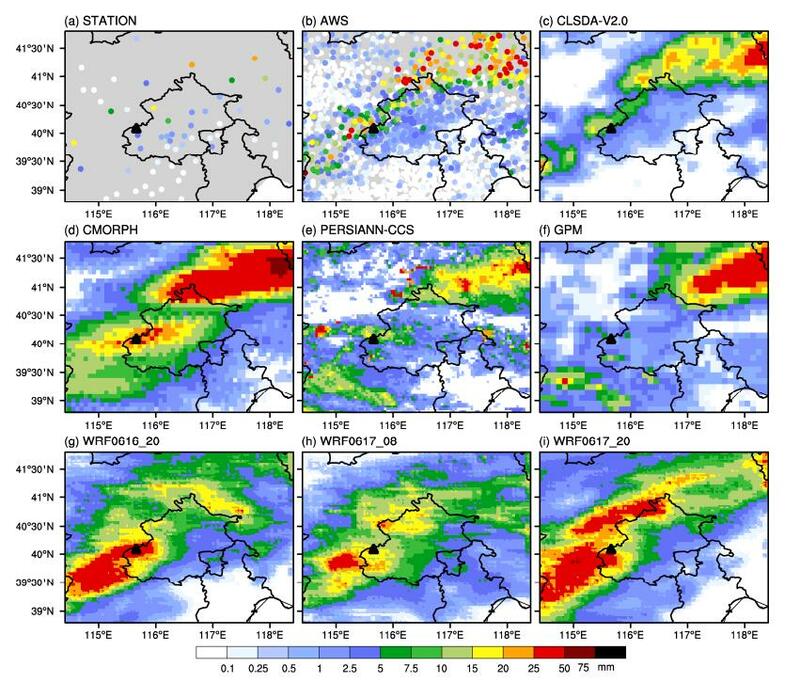 Based on rainfall data collected at automatic weather stations (AWS), the performance of three satellite rainfall products-CMORPH (CPC MORPHing technique), GPM (Global Precipitation Measurement) and PERSIANN-CCS (Precipitation Estimation from Remotely Sensed Information using Artificial Neural Networks-Cloud Classification System) and WRF model forecasted rainfall during this event are evaluated using qualitative and quantitative methods such as Taylor diagram and Threat Score. These rainfall data are then used to drive the statistical landslide and debris-flow forecasting model to hindcast this event. The applicability of different rainfall data in the model is analyzed, which provides references for the construction of landslide and debris-flow real-time warning and forecasting system. Results show that these three satellite rainfall products can well reproduce the rain belt, which extended from northeast to southwest in the study area. CMORPH has the highest spatial correlation coefficient with the observations and its probability of detection (POD) is also the highest, yet it overestimates the rainfall. 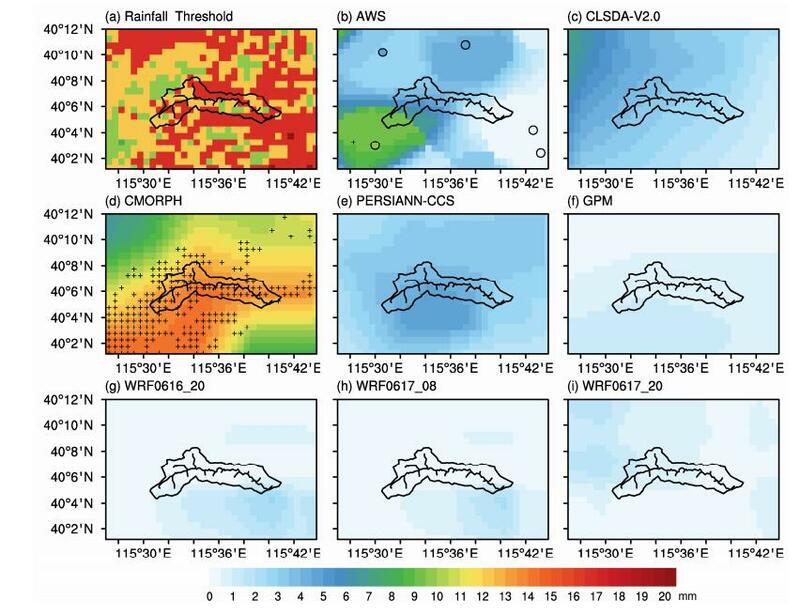 GPM can well describe the temporal variability of area averaged precipitation, and shows the potential application of satellite remote sensing on rainfall observations in areas with less observational stations. The performance of PERSIANN-CCS is not as good as the former two. WRF can forecast the spatial distribution of the rain belt, but the simulated rainfall center has a bias compared with the actual position. Besides, the occurrence time of the forecasted maximum precipitation appeared later than its actual occurrence time. Due to the locality of the heavy rainfall, the landslide and debris-flow model can accurately hindcast the event only when driven by CMORPH, which has a uniform spatial distribution and good quality. The observational rainfall from AWS cannot make an accurate hindcast due to its uneven distribution, which indicates that the satellite rainfall has certain advantages in the construction of landslide and debris-flow real-time warning system. The landslide and debris-flow model driven by WRF simulation can make early warning of the event, although the forecasted event occurs 3-5 h late. WRF can well forecast precipitation within 72 h, and thus prolongs the predictable period of the event. The spatiotemporal accuracy of WRF model still needs to be improved, but it is still crucial in early warning of disasters. Baum R L, Savage W Z, Godt J W. 2008. TRIGRS, A FORTRAN program for transient rainfall infiltration and grid-based regional slope-stability analysis, Version 2. 0 [R]. Open-File Report 2008-115, 75pp. Huffman G J, Bolvin D T, Nelkin E J. 2018. 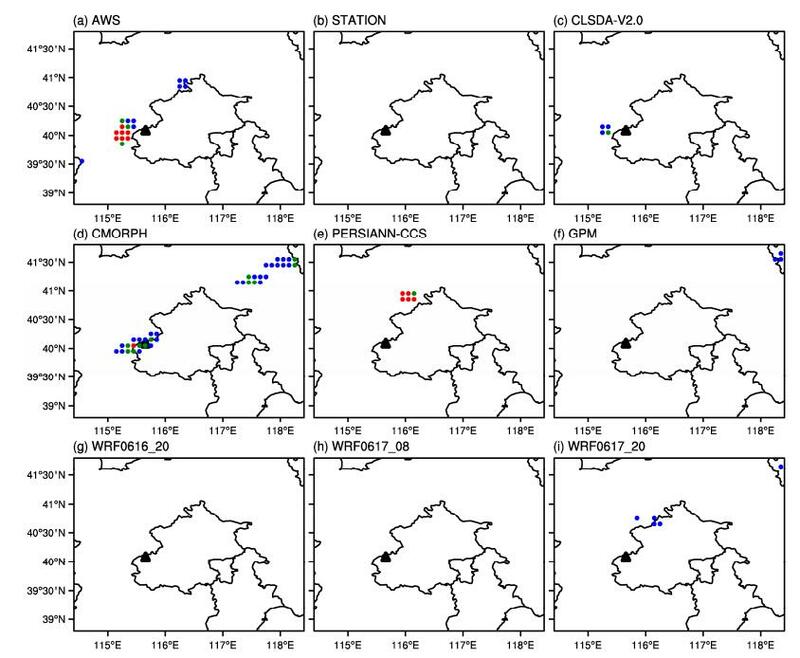 Integrated multi-satellitE retrievals for GPM (IMERG) technical documentation [R]. NASA. Lehner B, Verdin K, Jarvis A. 2006. HydroSHEDS technical documentation[R]. Washington, DC: World Wildlife Fund US. Shi C X, Jiang L P, Zhang T, et al. 2014. Status and plans of CMA land data assimilation system (CLDAS) project [C]//EGU General Assembly Conference. Vienna: EGU, 16pp. Skamarock W C, Klemp J B, Dudhia J, et al. 2008. 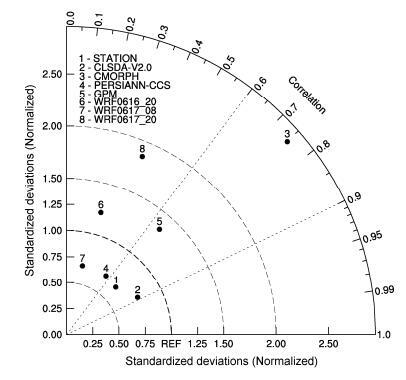 A description of the advanced research WRF version 3 [R]. NCAR Technical Note NCAR/TN-475+STR, doi: 10.5065/D68S4MVH. 汪君, 王会军, 洪阳. 2016. 中国洪涝滑坡灾害监测和动力数值预报系统研究[M]. 北京: 气象出版社: 121-124. Wang J, Wang H J, Hong Y. 2016. 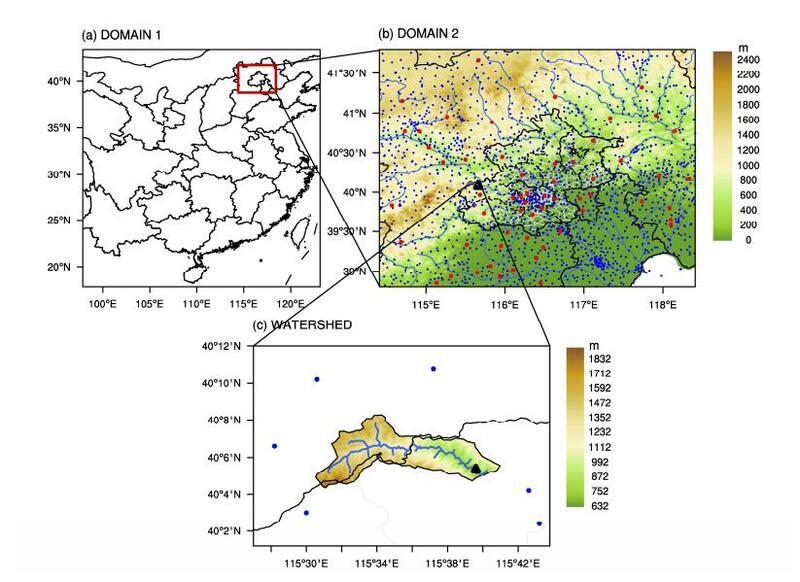 A Realtime Monitoring and Dynamical Forecasting System for Floods and Landslides in China (in Chinese) (in Chinese)[M]. Beijing: China Meteorological Press: 121-124. 王晓君, 马浩. 2011. 新一代中尺度预报模式(WRF)国内应用进展[J]. 地球科学进展, 26(11): 1191-1199. Wang X J, Ma H. 2011. 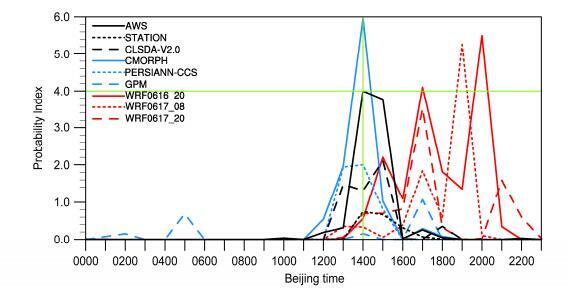 Progress of application of the Weather Research and Forecast (WRF) model in China (in Chinese)[J]. Advances in Earth Science (in Chinese), 26(11): 1191-1199.